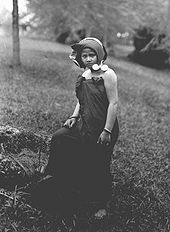 Linguistic and archeological evidence indicates that Austronesian speakers first reached Sumatra from Taiwan and the Philippinesthrough Borneo and/or Java about 2,500 years ago, and the Batak probably evolved from these settlers. 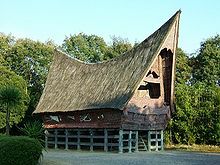 While the archaeology of southern Sumatra testifies the existence of neolithic settlers, it seems that the northern part of Sumatra was settled by agriculturalists at a considerably later stage. The Bataks were likely involved with trade with Srivijaya for benzoin and camphor, both of which were important commodities for trade with China, and grew in the Batak lands of northwest Sumatra, perhaps from the 8th or 9th centuries, and continuing for the next thousand years, Batak men carrying the products on their backs for sale at ports.